In 2017, we continued to see the rise of online mattress companies. Like a domino effect, one after another fell into the ShareASale network and many were able to settle into the ShareASale PowerRank. A month into 2018, we’ve seen a number of new apparel and accessories brands, but our prediction is that this year’s top category will be Home products. From affordable designer-inspired decor items to pricey high-end furnishings, more and more customers are looking to giving their homes a facelift. The upswing of the housing market has allowed consumers to invest more readily in a new home and in outfitting their new space. Augmented reality has also taken interior design to another level, allowing potential buyers to preview how different products will look in their intended room. Apps, like “Houzz Interior Design Ideas,” and Wayfair’s Preview tool allows buyers to digitally design a full room by style, location, or room type. As augmented reality apps become more common and sophisticated in the next year, the online shopping experience will drive an increase in the eCommerce Home category. Traditional media companies are looking to turn their physical publications into an online, digital enterprise to adapt to the needs of their readers, and also to find new sources of revenue. Similar to selling ad placements in their publications, these mainstream media publishers are looking for new, online partnerships with brands to earn incremental sales. It is retailers’ readiness to share three-dimensional and qualitative data with their affiliates and influencers through a network, on a performance-basis, that attracts the interest of mass-audience companies to traditional affiliate networks. 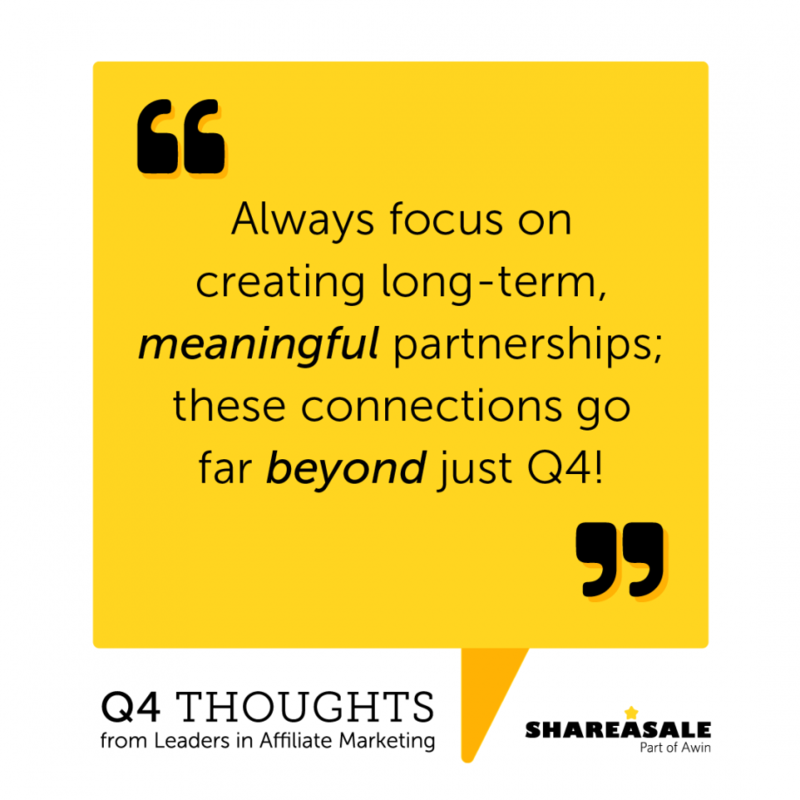 ShareASale saw an increase of new Mass Media affiliate partners towards the end of 2017 and we expect that trend to continue into 2018 as the value of affiliate channel becomes increasingly profitable. “Influencer” became a top buzz word in the past few years, referring to single-platform partners whose strong reputation and trust greatly effects their audience’s purchasing decisions. With the often short-lived lifecycle of influencer promotions, posting at a moment’s notice and sometimes in a live (Instagram stories) or disappearing format (Snapchat), it is crucial for retailers to provide quick, expedited sign-up processes to affiliate and also make grabbing a link as easy as possible. 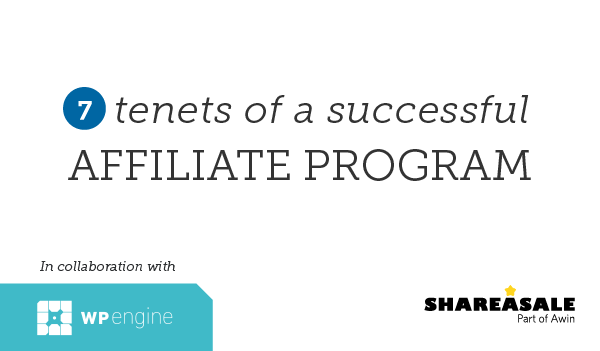 ShareASale has overcome this hurdle for our retailers with our “Influencer Quick Sign Up,” which allows influencers to get up and running with a retailer’s affiliate program without a website and gives them shareable links within minutes. Another way that both ShareASale and our partner network, Awin, are catering to influencer marketing needs is through Cookie-less Coupon Tracking. This tool supports partnerships with social influencers and content affiliates by using code-based tracking allowing us to track affiliate sales without a click. Influencers can post a code on Instagram with forced exclusivity so only that individual will get commissioned when it’s used. 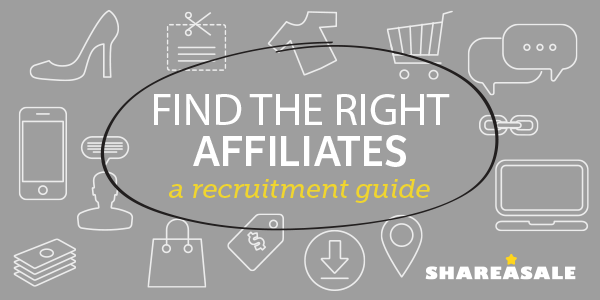 As platforms and new tools make it easier for brands to work with influencers, we expect this new category of affiliates to become increasingly valuable part of the Affiliate Marketing industry. The FTC cracked down on compliance in 2017, sending letters to over 90 infleuncers and marketers to remind them to “clearly and conspicuously disclose their relationships to brands when promoting or endorsing products through social media.” This was the first time that the FTC reached out to individuals to educate them on the correct way to disclose and it is surely not that last. This sudden outreach of the FTC has increased the awareness to stay compliant and the need for brands, marketers, and influencers to be educated and informed. Many platforms are taking it upon themselves to assist in the requirement for partnership transparency. Instagram, for example, has provided the option for users to clearly indicate at the top of the post whether it is branded content. We expect that 2017 was our warning and in 2018, the FTC will come down even harder on anyone not found compliant. For more tips, FAQ’s, and guidelines, please visit the FTC website or seek legal advise. 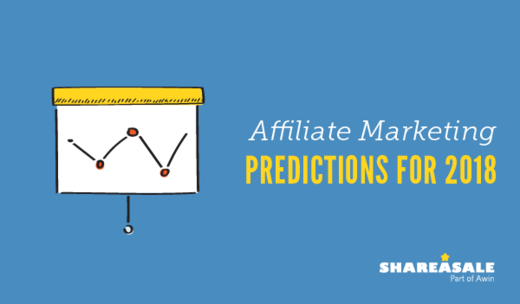 Take a look at Awin’s Nine predictions for affiliate marketing in 2018.